When students have the desire and ability to work together as a team, something magical happens—Together Everyone Achieves More! Students like working together, academic achievement goes up, and discipline problems become a thing of the past. Includes step-by-step instructions, hints, variations, over 100 teambuilding activities and ready-to-use blackline masters for each of 14 favorite teambuilding structures like: Fan-N-Pick, Team Interview, and Placemat Consensus. 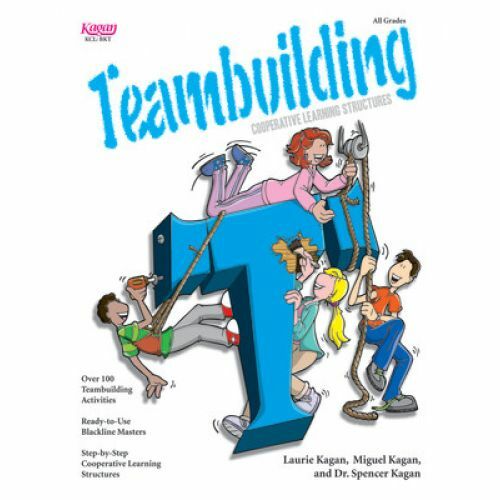 Promote a positive class and team atmosphere in your classroom, and watch as your students work together in harmony. 232 pages.